Breakthrough in artificial intelligence technology could improve patient care. Artificial intelligence system could help doctors and other eye health professionals spot serious conditions earlier and prioritise patients who urgently need treatment. Moorfields Private consultants Pearse Keane and Professor Sir Peng Tee Khaw helped initiate the pioneering research collaboration. An artificial intelligence (AI) system that can recommend the correct referral decision for over 50 eye diseases as accurately as world-leading experts has been developed by researchers at Moorfields Eye Hospital NHS Foundation Trust*, DeepMind Health and the UCL Institute of Ophthalmology. 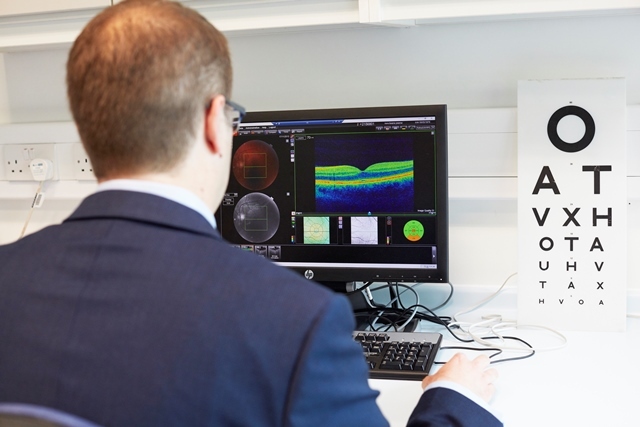 The breakthrough research, published by Nature Medicine, describes how machine learning technology has been successfully trained on thousands of historic de-personalised eye scans to identify features of eye disease and recommend how patients should be referred for care. 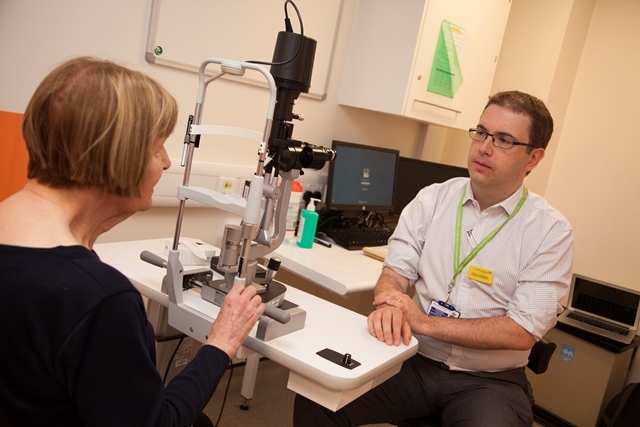 It is hoped that the technology could one day transform the way professionals carry out eye tests, allowing them to spot conditions earlier and prioritise patients with the most serious eye diseases before irreversible damage sets in. In 2016, Pearse Keane helped initiate the collaboration between Moorfields Eye Hospital and DeepMind Health – a leading technology company, along with Professor Sir Peng Tee Khaw, Moorfields Private consultant ophthalmologist and director of the NIHR Biomedical Research Centre at Moorfields and the UCL Institute of Ophthalmology. The study brought together leading eye health professionals and scientists, with some of the UK’s top technologists at DeepMind to investigate whether AI technology could help improve the care of patients with sight-threatening diseases, such as age-related macular degeneration and diabetic eye disease. Using two types of neural network – mathematical systems for identifying patterns in images or data – the AI system quickly learnt to identify ten features of eye disease from highly complex optical coherence tomography (OCT) scans. The system was then able to recommend a referral decision based on the most urgent conditions detected. It was able to make the right referral recommendation more than 94% of the time, matching the performance of expert clinicians. The next step is for the research to go through clinical trials to explore how this technology might improve patient care in practice, and regulatory approval before it can be used in hospitals and other clinical settings. It is hoped that the work which has gone into improving research databases for this project will also help accelerate wider NHS research for many years to come. How does age-related macular degeneration affect vision? *Moorfields Private is part of Moorfields Eye Hospital NHS Foundation Trust.